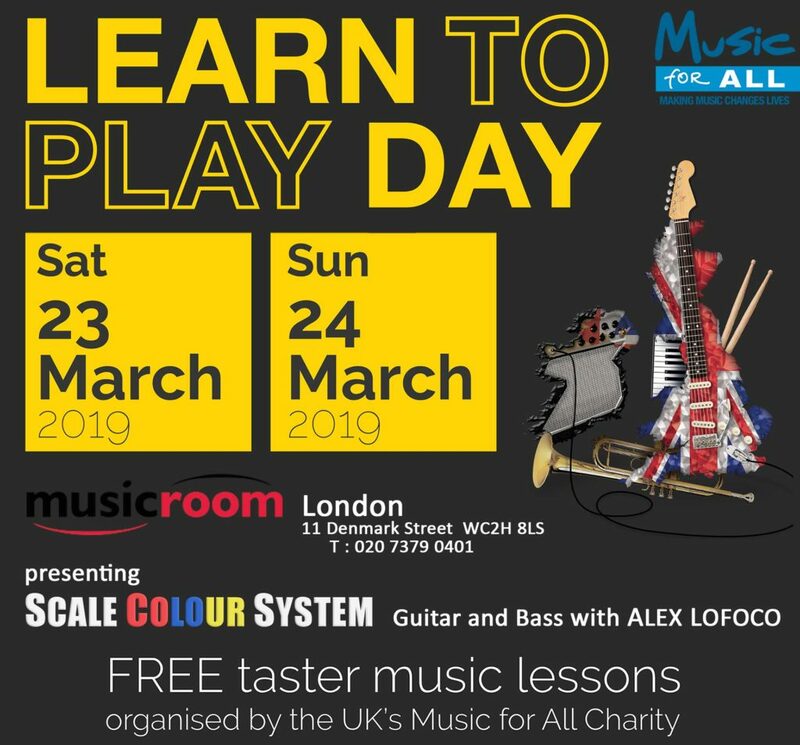 JOIN US THIS WEEKEND for a series of FREE tuition slots and introduction to Scale Colour System at the Musicroom in Denmark Street, London. 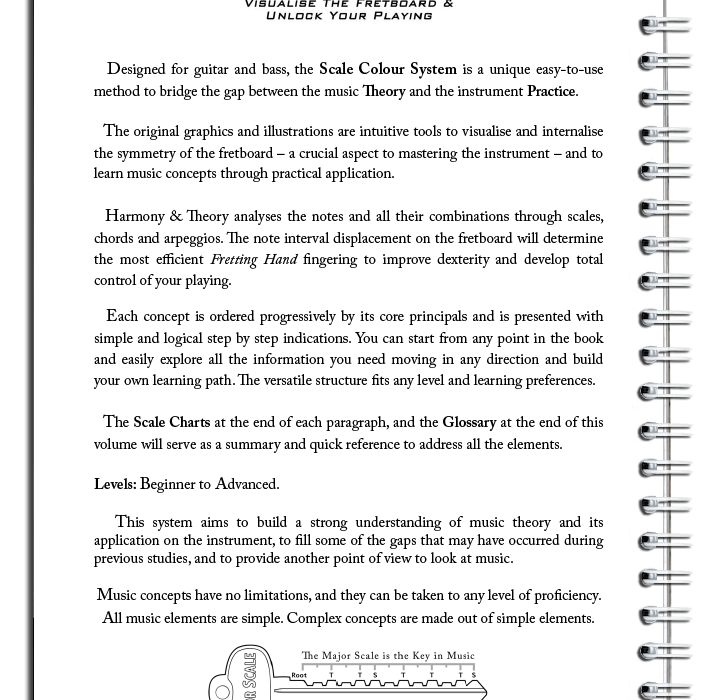 The lessons are open to everyone, any level, students and teachers who wish to have an insight into this innovative system of learning music. Thank you so much to the Music Room staff, Hal Leonard Europe, and to Music for All for this fantastic series of events. 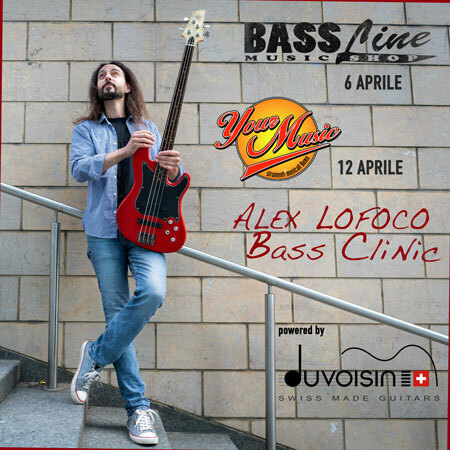 Alex will be holding two in-store clinics in Italy on Saturday 6th and Friday 12th of April 2019. 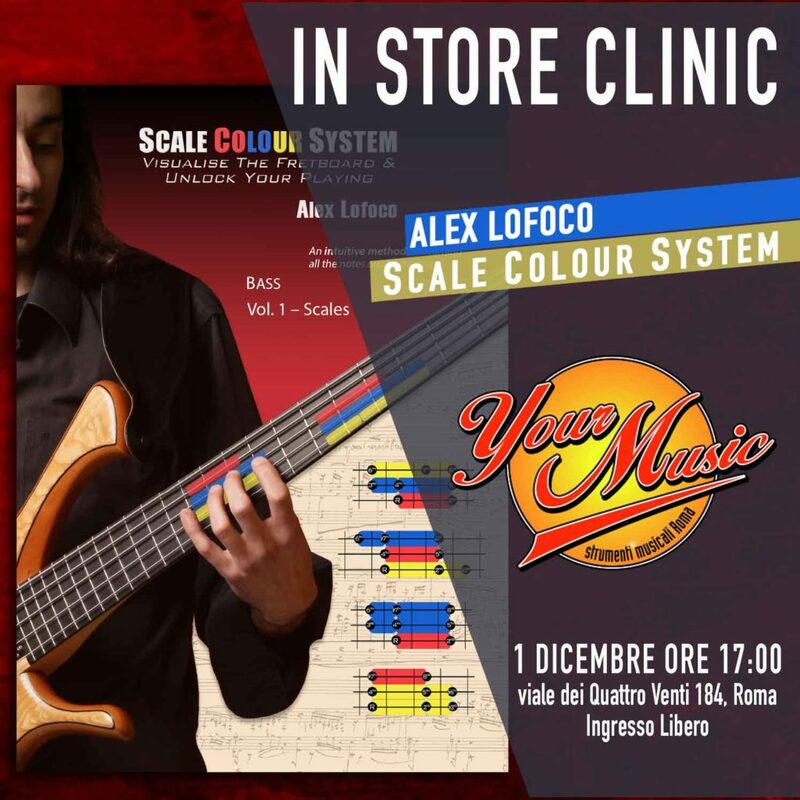 The first in Milan at the Bassline Music Shop and the latter in Rome at Your Music megastore. The clinics will be focussed on technique and theory as well and gear demo for Duvoisin Guitar instruments (www.duvoisinguitars.com). 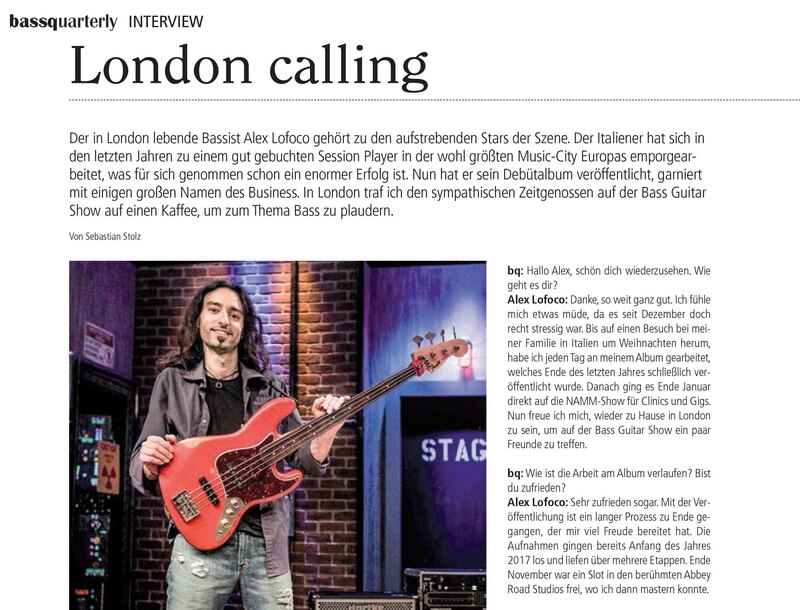 We have the one in London two issues ago live Italian bassist Alex Lofoco with an interview about his new CD posed. In it he tells extensively about the development process and the significance of this debut for him personally. Alex Lofoco uses the slogan “Explicit Pro- gressive Fusion Content”, and it’s hard to describe the sound of the record better. His line-up is impressive: stars like Marco Minnemann on drums, known for his work with the Aristrocrats and the Steve Wilson Band, Jordan Rudess of Dream Theater on the keyboard, and Eric Marienthal on the saxophone, which has countless records with Chick Corea recorded. 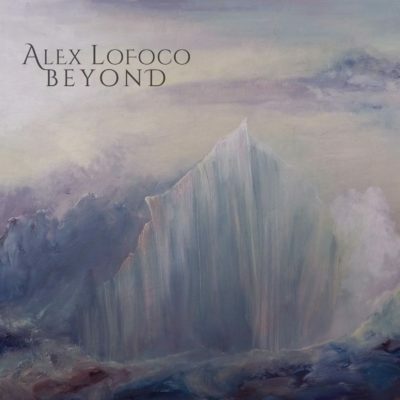 In his role as a composer and producer, Alex Lofoco has managed to give his band every opportunity to perform. Together with his friend Roby Meola on the guitar as co-producer, a compilation of seven songs was created, which reflects the great stylistic range of the musicians. 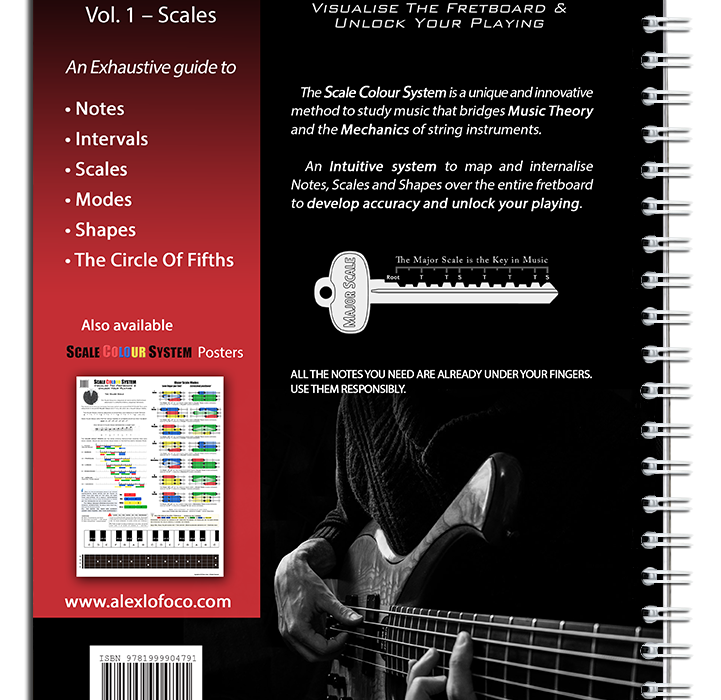 You can hear jazz, metal, funk or Latin mixed up wildly, brute electric guitar riffs for melodic solos on the fretless bass, fat sounds from the synthesizer over polyrhythmic grooves from the drums and above all a saxophone floats in its forms as soprano, alto and tenor. It is not so easy to point out a specific song from the album, as none of the seven titles lasts less than eight minutes and all seem interwoven while listening. The opener “Rolling The Stone” begins with an epic intro of atonal unison lines, which immediately evokes associations with the legendary Return to Forever. 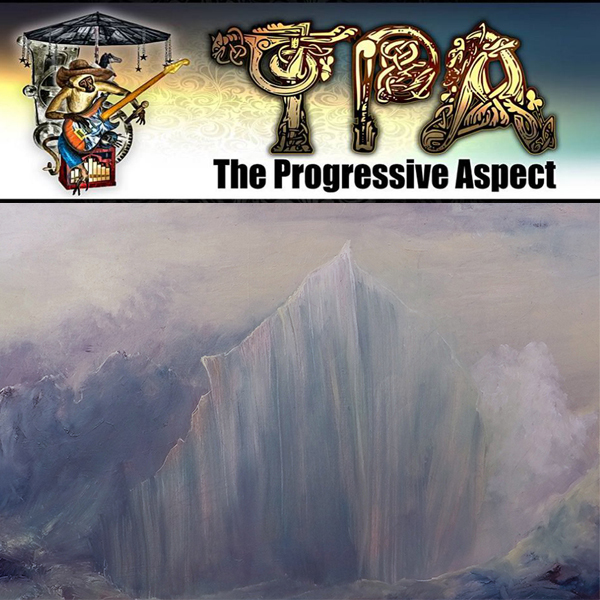 After this introduction, it gets straight to the point right away, a colorful mix of styles from metal to smooth jazz with a thick sound sets the tone. 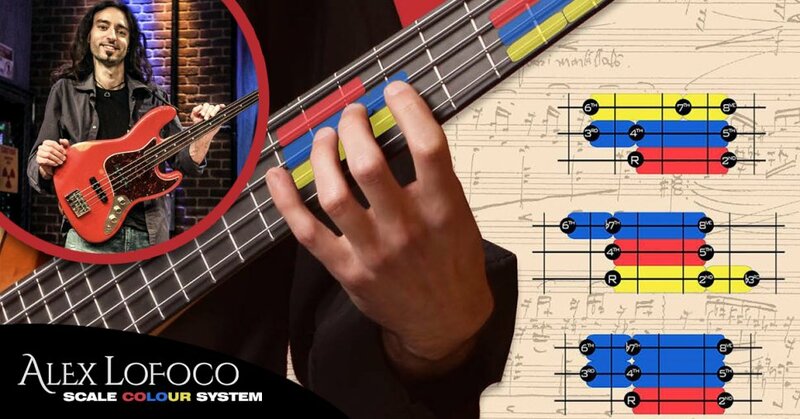 It mixes string sounds from the keyboard with distorted guitars to a funk bass in the style of Jaco over odd time signatures. 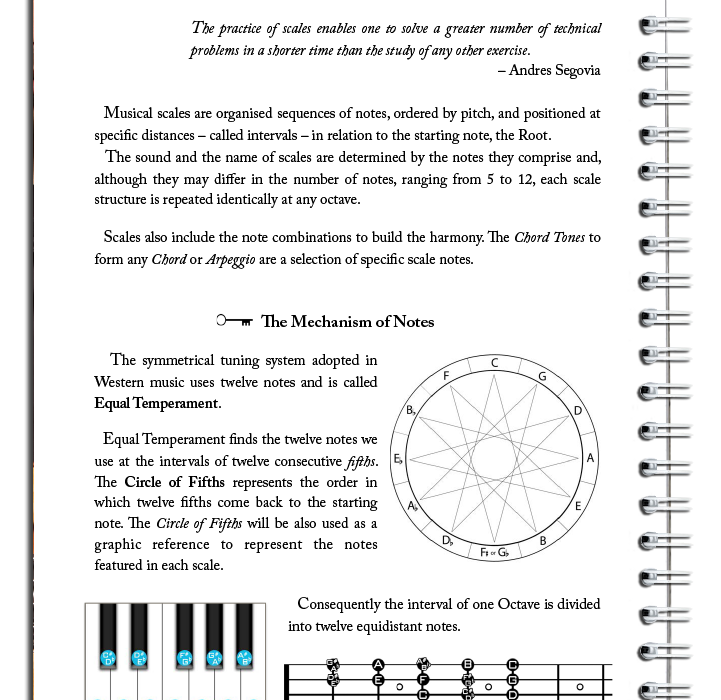 Themes and motifs are presented, musically processed by the various instruments, resumed and linked with other phrases. 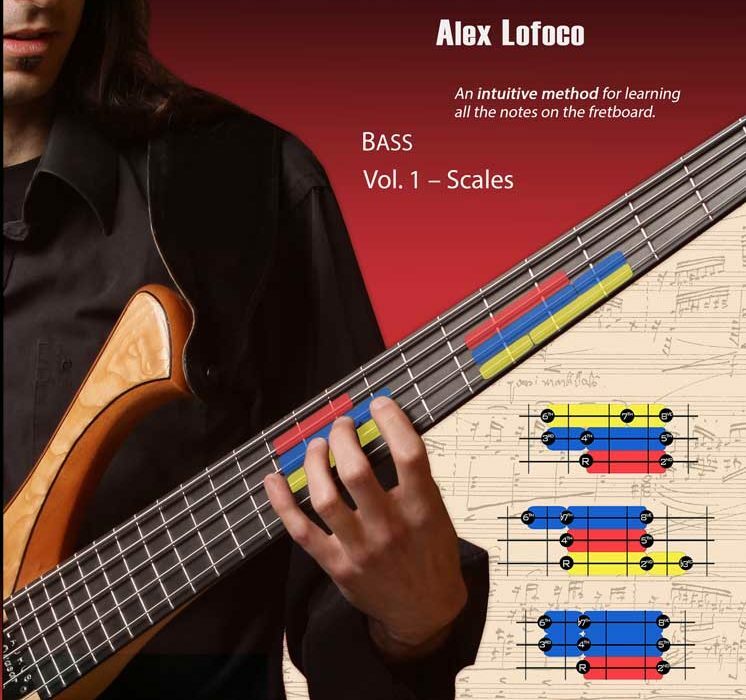 Actually, the first title already contains the nucleus for the entire album, because despite all stylistic range Alex Lofoco remains true to his concept of progressive fusion. Of course, he did not miss the opportunity to demonstrate his outstanding bass skills. “Resurrection” includes some great solos on Fretless (by the German bass maker Oliver Lang) in a duo with the saxophone and extremely tight grooves in double thumping. In “Grace” you can hear a great slap solo in Miller style as well as some very virtuoso finger funk riffs. Of course, the other musicians also get their money’s worth, the drum-intro by Marco Minnemann in “Faith”, which leads to a genius groove on a 3-point basis, has it all and is not a bit boring even after repeated listening. Anyway, the purely instrumental record is definitely not for the light music enjoyment with a glass of red wine in the evening after work. Here it is all the time fully to the point, the listener is granted no rest, a technical-musical highlight chasing the next. If you want to search for a point of criticism, he would probably be found at this point. Lofoco wants to show everything in his debut album and may have meant it a bit too well in some places. I personally lack the common thread, as a listener one wants to be taken by the hand and guided through the world of the composer. This takes place less, Alex converts his sonic visions one-to-one and demands the undivided attention and cooperation of the listener while listening. In the end, this is just consistent and appropriate to the style of the music, and those who make the effort will be rewarded with extremely interesting and sophisticated music. As a bassist and musician you can enjoy this album for a long time, because it is full of content and details and screams for repeated listening. 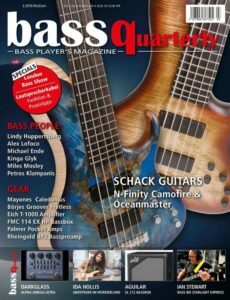 If you are looking for fusion and / or are looking for inspiration for your bass playing, then this is the place for you! 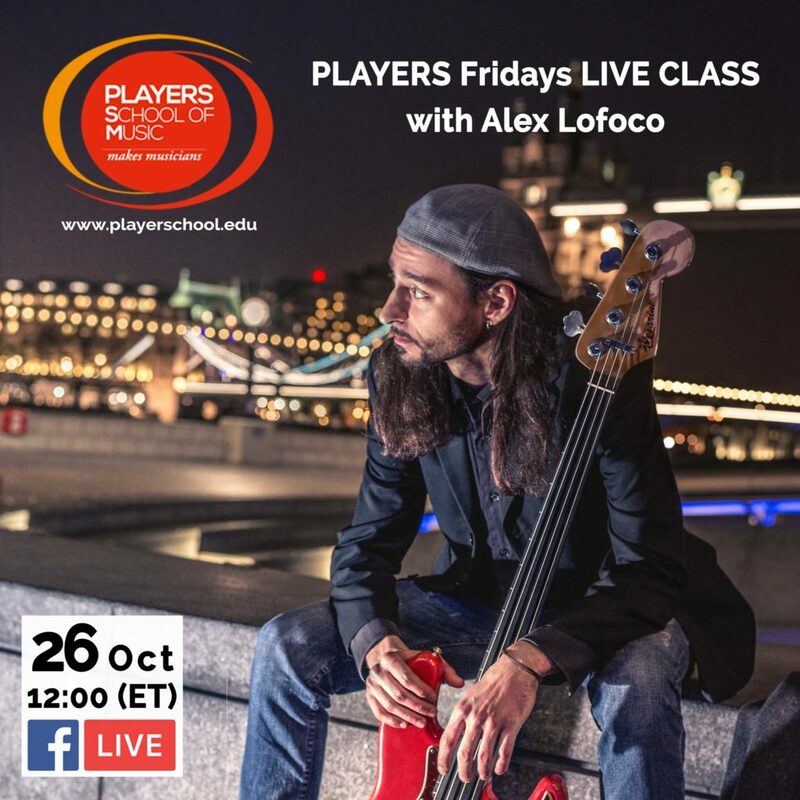 Players School Of Music presents a class with Alex Lofoco – Friday 26 Oct at 12:00 (ET time). Join the conversation live on Facebook stream. It will be an occasion to talk about music, music education, past and future projects. 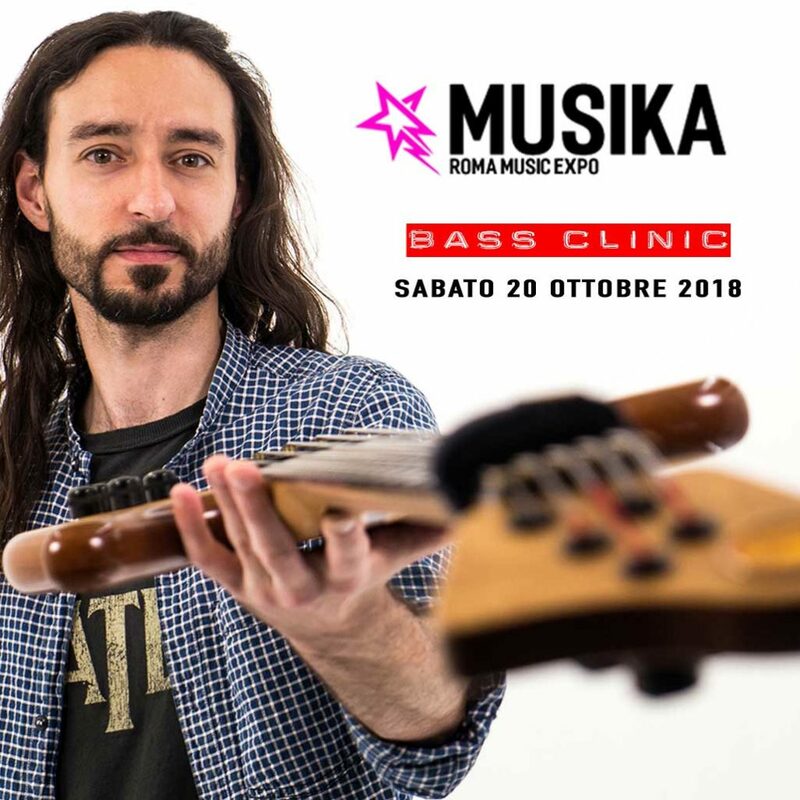 Alex will host a Bass Clinic at the Muiska Expo in Rome Sat 20 Oct 2018. Presentando e dimostrando in modo trasversale come gli elementi semplici di Teoria e Tecnica possono essere sviluppati nei concetti più complessi, la clinic di basso di Alex Lofoco crea un ponte tra i due livelli principiante e avanzato, aumentando la consapevolezza e le competenze teoriche e pratiche. 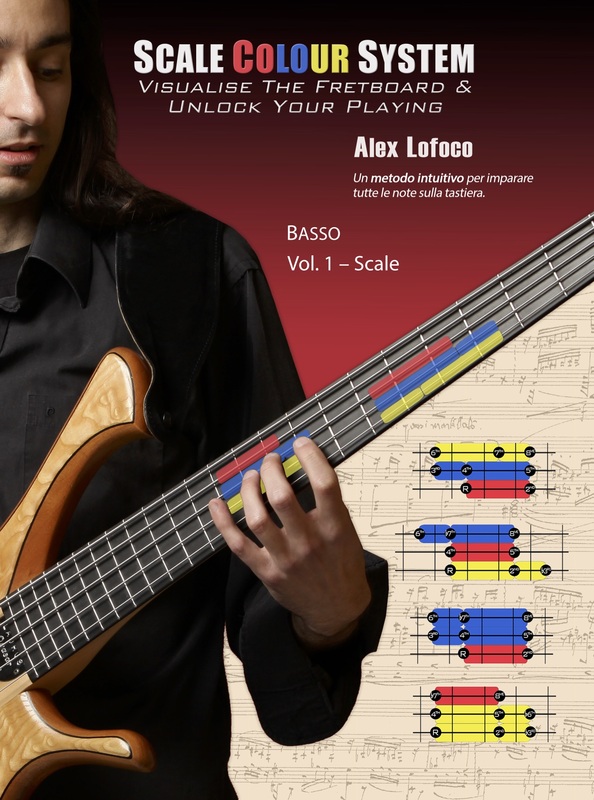 *La didattica presentata nella clinic attinge dal materiale pubblicato nel primo volume del metodo unico per basso/chitarra SCALE COLOUR SYSTEM – in cui la simmetria della tastiera viene presentata attraverso un innovativo sistema a colori che fornisce una maggiore chiarezza visiva per una più immediata applicazione pratica. 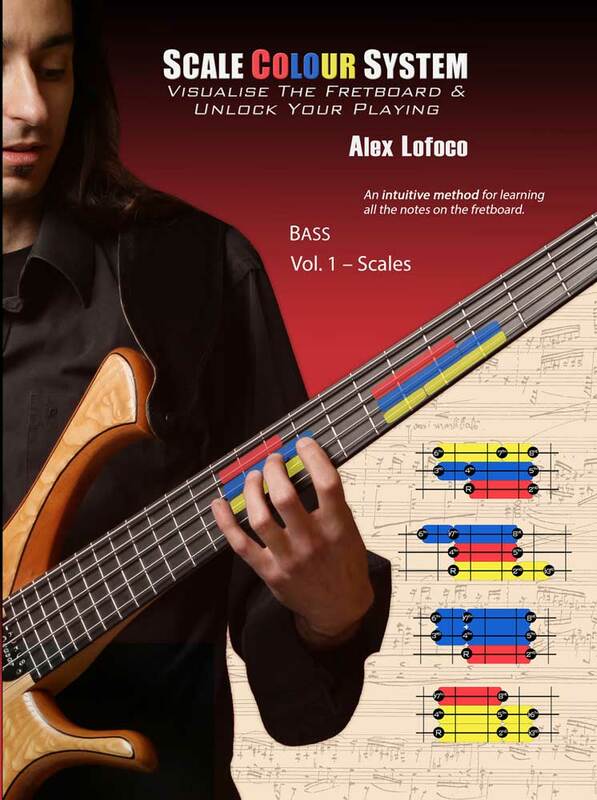 Alex shares his new book “Scale Colour System – Visualise The Fretboard & Unlock Your Playing”. 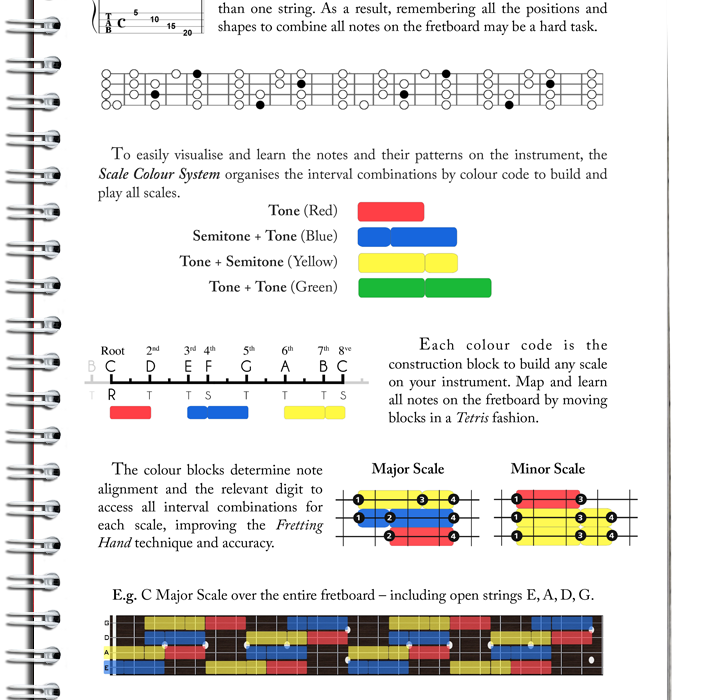 The SCALE COLOUR SYSTEM is a unique an innovative method to study music that bridges Music Theory and the Mechanics of string instruments. 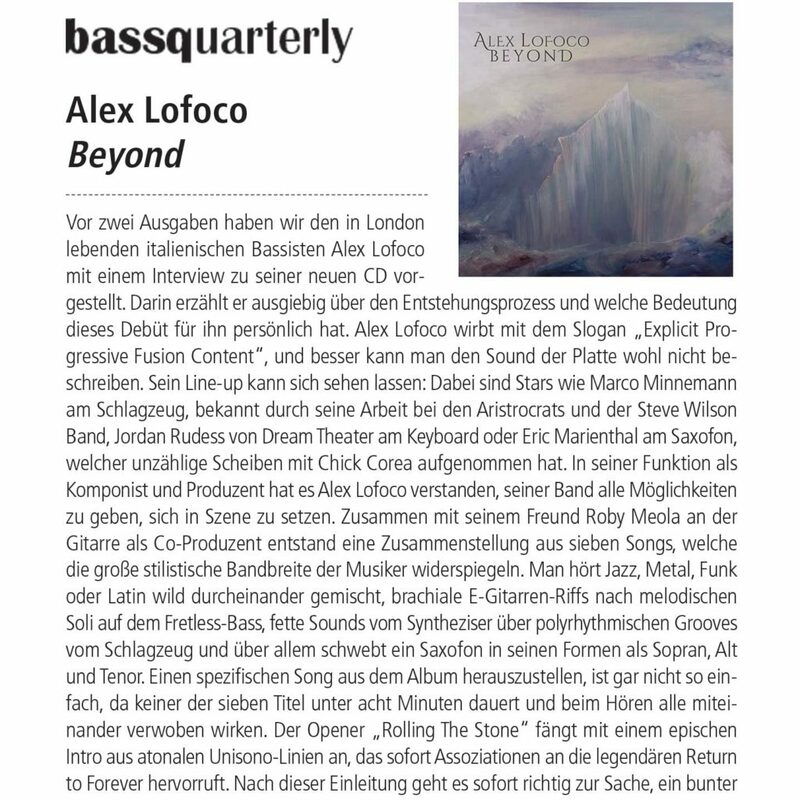 Bass session man and composer Alex Lofoco has announced himself to the world with his hugely impressive and incendiary debut album that recalls the progressive, jazz fusioneers of the early 70s. Think Mahavishnu Orchestra, Weather Report, Return to Forever – to mention just a few. Strengthening this notion Alex has called on Chick Corea’s EB sax-man Eric Marienthal who guests on a couple of tracks. With Marco Minnemann on kit, guitarist Roby Meola, keyboard maestro Jordan Rudess and some seriously impressive piano players in Tomasz Bura and Jesus Molina, we have a world class band here folks. Beyond is was released in December 2017, available on a number of digital platforms and well worth investigating.